KEEP is a chapter of the Organization of American Kodály Educators. Founded in 1977 by Jane Pippart-Brown, we have worked to spread the philosophy of Zoltán Kodály throughout Pennsylvania. Most of our chapter members come from south-central and eastern Pennsylvania, however, we do have members from all parts of Pennsylvania and beyond. 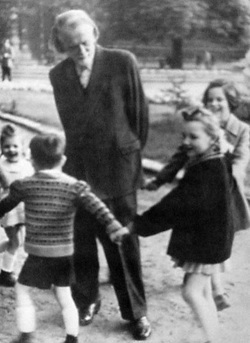 Kodály believed that only the very best teachers should educate our children. Kodály Educators of Eastern Pennsylvania has spent the last 40 years supporting and encouraging teachers and students to make beautiful music every day. We hope you will attend one of our workshops so you can join in the fun of learning new skills for your students. Click here to go to the OAKE website and become a member now! Don't forget to select KEEP as your affiliate chapter.